In this deadly game of cat-and-mouse, the stakes are life or death—and winning might mean sacrificing everything..
Each book in this series has continued at a frenetic pace, and MIDNIGHT MARKED was no exception. From page one, it takes off and doesn't stop once. The "Big Bad" this time around was a doozy, leaving the plot spiraling almost out of control. It definitely made for some intense scenes and stakes, so intense that the resolution almost didn't stand a chance at living up to the build up. Don't get me wrong, the resolution packed a punch and had some very high stakes. It's just that it almost felt just a tad easy. But then again if you really look hard, it was only a half fix, and the next book could become the final, final showdown. We'll have to see. Merit and Ethan's relationship continues to be tumultuous, which adds both excitement and frustration to the series. It definitely keeps things interesting, but as I said it's rather frustrating as well. Granted Ethan does act in character with his ridiculous alpha male routine in this book, but it comes across as juvenile so very hypocritical. To be honest, it rang rather false to me how easily he got off the hook with Merit for his actions. He pulled a rather ridiculous stunt in this book, and while there was mentions of him being in the "dog house," there really wasn't any real consequences for him with Merit nor anyone else in the end. And yet, he claimed to have learned his lesson. Again. But in all honestly it just once and for all proved he'll never really change, which unfortunately soured my view of him a bit. Luckily he has one more book to potentially redeem himself and better control those actions, but only time will tell. You can really feel this series starting to wind down, which is a shame, as it's one I've really enjoyed. Surprisingly, the span of this series despite so many books, has only been a year in total. 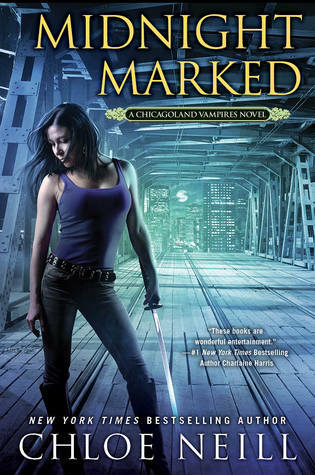 In fact, Merit is celebrating her one year anniversary as a vampire in this book. So much has happened in only that short year, it's rather mind boggling. And yet it feels like there's so much more left unsaid/to be done, so if the next book is truly the finale, I can't imagine the frenetic pace that will entail to pack so much in. Should make for a bang of a book. 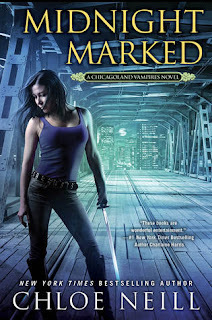 So that being said, I highly recommend this book and this series to anyone who enjoys a fast paced and high stakes read in the urban fantasy genre.